For many of us, 1988 doesn't seem like that long ago. When I came across the items below, it reminded me how far we've come in such a short period of time. 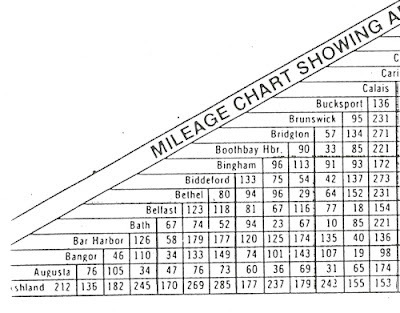 Mileage tables such as the one below are common place, and may even still be in the DeLorme Gazzetteer (which every Mainer must own, it's the law), but that was long before Google Maps and Mapquest. 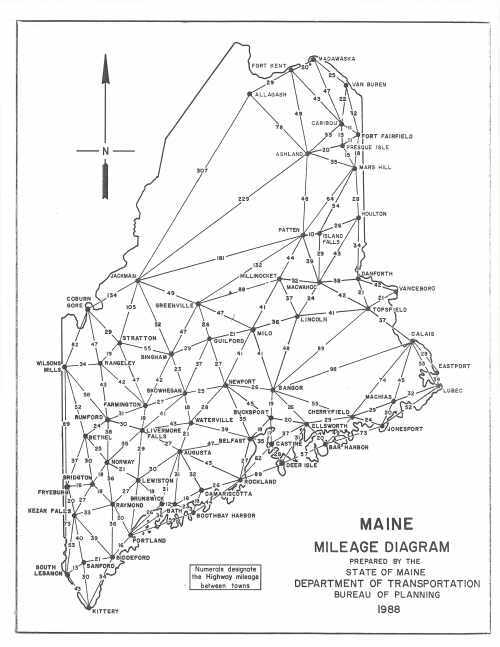 Sadly, it doesn't address how long it'll take you to get from point to point in Maine, which everyone knows is how distance is truly measured. 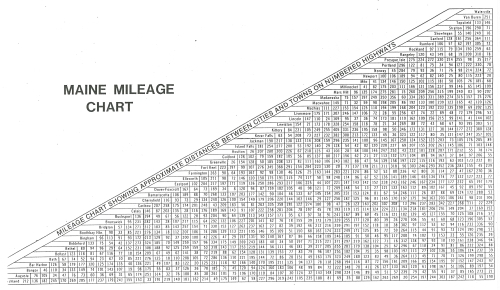 For those who aren't familiar with mileage charts like this. You would find the location you're starting from and your destination. 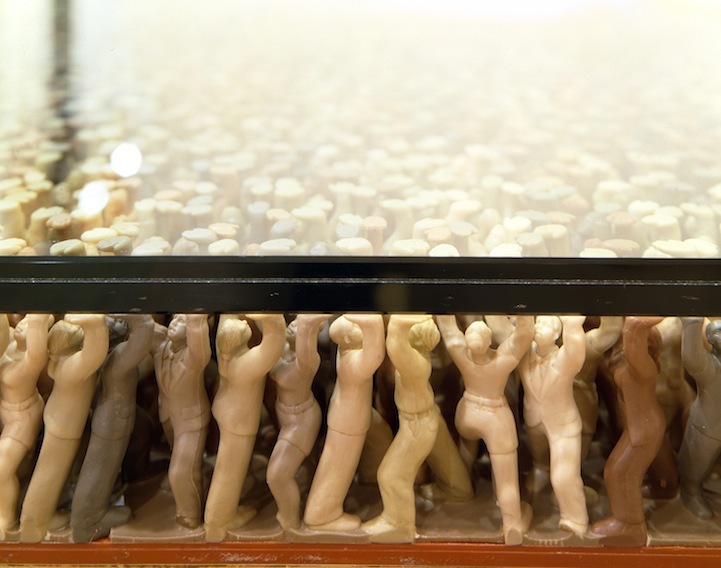 You would then follow the row and columns from each until they intersected. 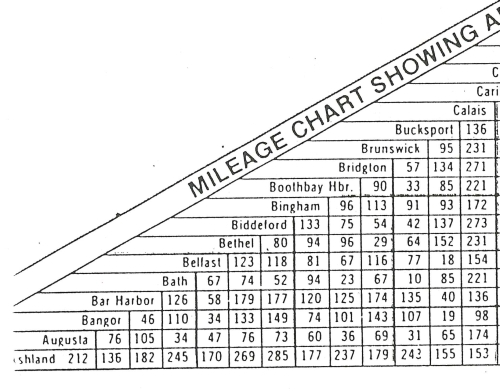 For example, if you were going from Bath to Bucksport, you'd find the row for Bath and the column for Bucksport. You would then follow it across until they intersect giving you the distance between the two locations is 85 miles (Google Maps has it at 85.6mi).